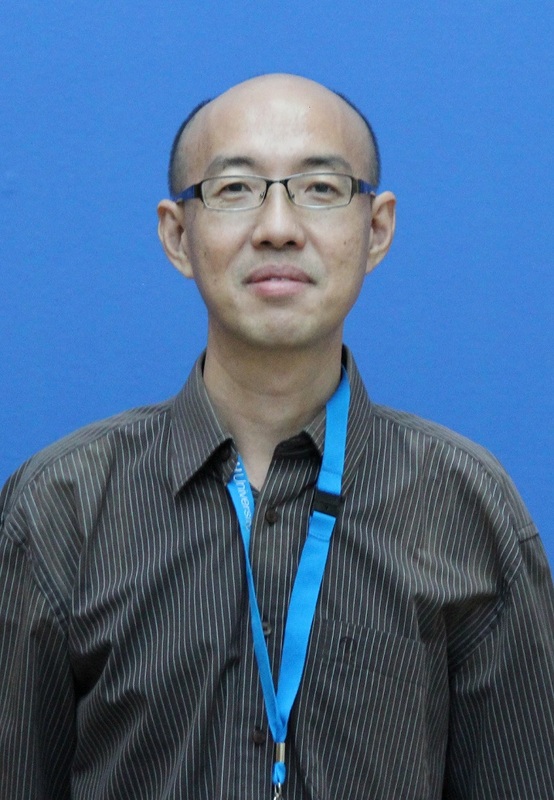 Dr. Tee Chwee Ming is currently a lecturer with the School of Business (Accounting & Finance Department) under Monash University. He has 10 years of academic teaching experience in the discipline of finance and investment in various universities in Malaysia since 2006. Prior to this, he has ten years of corporate experience in the global stock, currency, derivatives and structured product markets since 1996. He has served in various corporate positions and held senior positions with Maybank in Kuala Lumpur, Barclays Capital in London, Citigroup in Sydney and JP Morgan Chase in Sydney. Since 2006, he has provided finance and investment professional training services to Permodalan Nasional Berhad Investment Institute. He has published several articles in international peer-review academic and professional journals in the area of accounting, corporate governance and finance. His research interests are in the area of political economy and ownership structure. Tee, C.M. (2017). Political connections, institutional investors monitoring and stock price synchronicity. Managerial Finance, Vo. 43 (11): 1236-1253. Tee, C.M., Gul, F.A., Foo, Y.B. and Teh, C.G. (2017). Institutional monitoring, political connections and audit fees: Evidence from Malaysian firms. International Journal of Auditing, Vol. 21 (2): 164-176. Tee, C.M. and Chong, L.L. (2014). Board structure and firm performance: Some evidence from Malaysian government-linked companies. Corporate Ownership and Control, Vol. 12 (1): 345-351. Hooy, C.W. and Tee, C.M. (2014). Director monitoring effectiveness and CEO compensation. Corporate Ownership and Control, Vol. 11 (2): 124-131. Hooy, C.W. and Tee, C.M. (2010). The monitoring role of independent directors in CEO pay- performance relationship: The case of Malaysian government linked companies. Macroeconomics and Finance in Emerging Markets Economies, Vol. 3 (2): 245-259. Tee, C.M. and Chan, S.G. (2008). The influence of ownership structure on corporate performance of Malaysian public listed companies. ASEAN Economic Bulletin, Vol. 25 (2): 195 – 208. Tee, C.M. & Hooy, C.W. (2009). Director’s pay-performance: A study on Malaysian government-linked companies. Bankers Journal Malaysia, 133, 28-33. Tee, C.M., Chan, S.G., & Chong, L.L. (2006). Ownership structure and corporate governance: Further evidence from Malaysia. Bankers Journal Malaysia, 130, 21-32. Tee, C.M. (2006). Conceptual risk-based deposit insurance framework for the Malaysian banking system. Bankers Journal Malaysia, 129, 4-9. Tee, C.M. (2004). A critical analysis of the Basle know your customer principle. Bankers Journal Malaysia, 127, 45-48. Tee, C.M. (2016). Political connections, institutional monitoring and earnings quality in Malaysia. Austral-Asian 29th. Banking & Finance Conference Sydney UNSW December 14 - 16. Tee, C.M., Gul, F.A., Foo, Y.B. and Abdul Majid (2017). Institutional domiciles and CEO pay-performance sensitivity in Malaysian firms. European Accounting Association (EAA) 40th. Congress Valencia May 10 - 12. Tee, C.M. (2017). Political connections, institutional monitoring and stock price crash risk: Evidence from Malaysian firms. World Finance Conference Bangkok Thailand December 14-15. Tee, C.M., Gul, F.A., Foo, Y.B. & Majid, A. (2014). CEO compensation and firm performance in Malaysian firms: Some evidence on the role of institutional investors. Journal of Contemporary Accounting and Economics (JCAE) Capital Markets Symposium Monash University [Elsevier] January 2-4 2014. Tee, C.M & Teh, C.G. (2014). Institutional ownership, political connections, and audit fees: Further evidence from Malaysia [Best Paper Award]. International Corporate Governance Symposium Kasetsart University, University of Queensland and University of Strathclyde [Elsevier] December 1-3 2014. Tee, C.M., Gul, F.A., Majid, A., Hooy, G.K. & Kasipillai, J. (2015). Political connections, institutional monitoring and tax avoidance: Evidence from Malaysia. European Accounting Association (EAA) 38th. Congress Glasgow April 28-30 2015. Tee, C.M., Gul, F.A., Teh, C.G. & Foo, Y.B. (2015a). Institutional ownership, political connections and audit fees: Evidence from Malaysia. Journal of International Accounting Research 3rd. International Conference Sao Paolo July 19-21 2015. Tee, C.M., Gul, F.A., Teh, C.G. & Foo, Y.B. (2015b). Institutional monitoring, political connections and the cost of debt: Evidence from Malaysia. World Finance Conference BuenosAires Argentina July 22-24 2015. Authorised by: Marketing and Future Students. Maintained by: Monash University Malaysia Webmaster Team. Last updated: 02 Jan 2019.